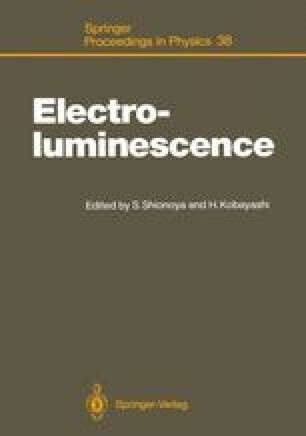 It has been a tradition that high-field electroluminescence devices have been developed on an empirical basis, while the development of devices in silicon or III–V compounds rests on a detailed understanding of the relevant physics. Quantitative theories of the mechanisms of high-field electroluminescence are in a primitive state by the standards of semiconductor physics. Partly this is because very hot carriers and deep levels are involved and partly because there are few experimental data, obtained under well-defined conditions, with which to compare theory. Here a few particular areas in which advances are being made are surveyed. They are the hot electron distribution, impact and ionization cross-sections, Auger effects, the position of rare-earth energy levels relative to the energy gap, and the rôle of hot holes.